Notice is hereby given that where marking of fishing gear laid within the limits of Cowes Harbour (as defined in the Cowes Harbour General Directions) does not meet the minimum standards listed below the fishing gear will be removed, without notice, to prevent it becoming a hazard to safe navigation. For clarity as a minimum, all fishing gear laid within Cowes Harbour must have a surface mark which is clearly visible on which is fitted a flag, the identity of the laying vessel is to be clearly displayed at all times. Any fishing gear must be laid clear of channels, fairways and navigation marks, so that the safety of navigation within the harbour is not compromised. Preferably the mark shall consist of a Dan buoy, a radar reflector and an all round yellow light as shown in the attached diagram. Due to improperly marked fishing gear in the Solent, many areas including the area in and around Cowes Harbour have been reported as becoming hazardous for navigation, particularly for small craft. 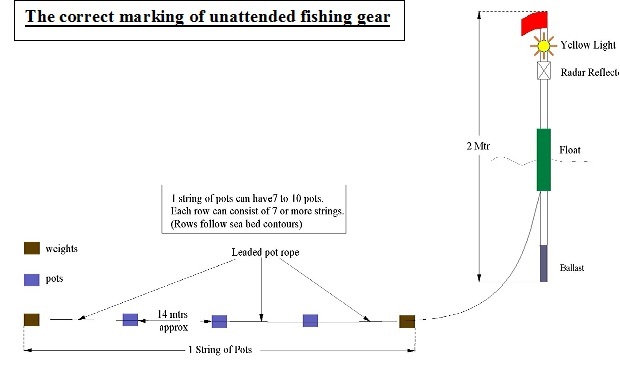 Where found, improperly marked fishing gear will be removed without notice. 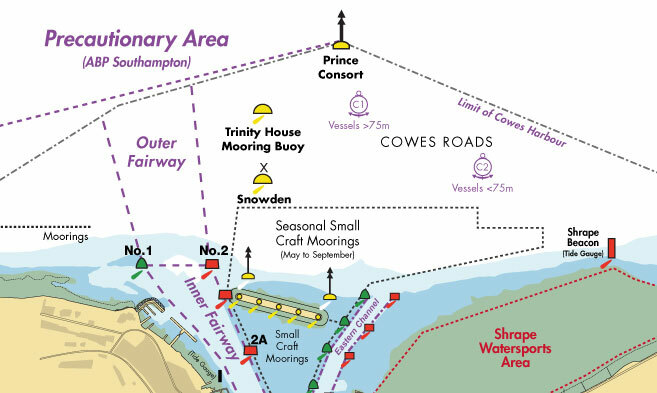 Note that Southampton and Portsmouth Harbour Authorities have their own minimum requirements; these can be found in their respective Local Notices to Mariners.